A mole is defined as the different type of skin lesion manifested as flesh-colored or pigmented, elevated or flat, irritable & a bumbling thing. It is also termed as Nevus which usually stands for a number of benign i.e. non cancerous& pigmented lesion of the skin. On the other hand, warts are small & scratchy growth, typically traced on the hands, feet, but often may found in different locations of the body. Usually warts have the appearance of uneven-solid blisters resembling cauliflowers. Patients with moles are found unattractive. A mole bothers an individual & may turn into skin cancer. Verruca vulgaris is the most common form of warts typically found on hands, but may involve the other body parts. A thread or finger like wart may develop commonly on the face, especially close to the eyelids & lips. Warts may engage the genitalia &may found around the nail. Verruca plana, also known as flat warts, which occur in multiple numbers affecting the face, neck, hands, wrist & knees. Moles mostly occur in children, but it is common in adults as well. Excessive pigment production by melanocytes results in accumulation & moles are formed with dark appearance. Moles can be light colored or deeply red colored. Viral infection, specifically by the Human Papilloma Virus (HPV-1 to HPV-4) responsible for planter warts on soles of feet. HPV-6 & HPV-11 cause Anogenital warts i.e. Condylomata acuminate. Human Papilloma Virus is an oncogenic DNA virus. A Dermatologist can treat a mole with a simple Skin Mole Removal Treatment associated with surgical excision during the visit. It is not a complex procedure & it will not cost you a lot. But if cancer is suspected, then after removal of the entire mole, the dermatologist will send the mole to the histopathology lab for examination. Often a surgical blade is used by the dermatologist to remove the mole. Several treatments & procedures are engaged with wart removal. In case of Wart Removal Treatment, usually Salicylic acid is prescribed by a dermatologist Dr. Rinky Kapoor. Recently Cryotherapy has been proven effective as salicylic acid. After the removal of a mole, the site will heal soon. Skin mole removal treatment by Radiofrequency ablation or Carbon dioxide laser vaporization is the right choice, as decided by the dermatologist for proper cure. Cryotherapy with liquid nitrogen is commonly used procedure done by the dermatologist in case of wart removal treatment by which the wart with its surrounding dead cells fall off after an average 3 to 4 treatments but Carbon dioxide laser ablation is considered as treatment of choice. -What Is The Cost Of Warts And Moles Treatment? All of us want to look perfect. We want our faces to be perfect, free from any flaws. One way of achieving this is by making an investment in cosmetic surgery. One facial flaw seen in many people is the presence of moles. A mole is defined as a benign form of a skin lesion. Although completely harmless, these moles can often be perceived as unattractive. Luckily, a mole can be removed surgically by a skilled cosmetic surgeon. A dermatologist can treat a mole with a simple skin mole removal treatment. If you are undertaking skin mole removal treatment you must definitely want to be made aware of the costs involved in the procedure. The cost of skin mole removal treatment depends on a variety of factors, one of which is the type of surgery you will need. However, any decision concerning cosmetic surgery should never be made on the basis of cost alone. Choose a good cosmetologist and medical facility to undergo your treatment. We, at Esthetic Clinic, provide great facilities and would love for you to undertake your cosmetic enhancement journey with us. 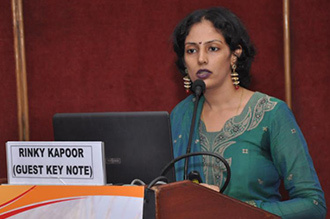 Dr. Rinky Kapoor, our medical head, is vastly experienced and lauded all over the world for her ability as a dermatologist. 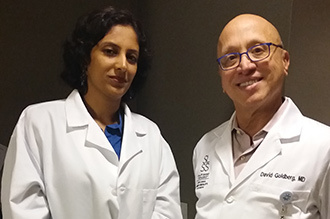 Our talented and highly qualified staff will ensure that your need for skin removal is met. The Esthetic Clinic is a world class medical centre for skin-care treatment and cosmetic surgery. We believe in providing you with the finest facilities to aid you in your surgical and recovery periods. 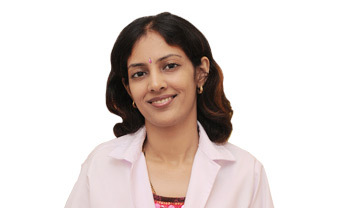 Our medical head, Dr. Rinky Kapoor, is a highly experienced dermatologist of the finest ability. 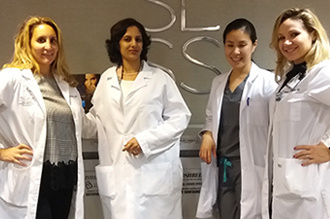 Our staff is filled with professionals who will help you every step of the way in your cosmetic enhancement journey. Quality patient care is provided here with modern technology by the highly qualified medical faculty. Here, the health staff are more productive &trained with appropriate skills. You will be offered here friendly environment & other facilities.